HOTEL CANCELS PRESERVING FREEDOM CONFERENCE – The call came as a surprise. Lou Ann Zelnick of the Tennessee Freedom Coalition called me from Nashville and said she had a senior vice-president of the parent company of the Hutton Hotel on the line. 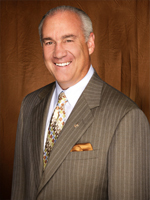 Amerimar Enterprises Vice President Steve Eckley then informed me that the hotel had been getting threatening phone calls and letters and will not honor the legally binding contract his company had signed. At that point the company had accepted nearly $8,000 in deposits from the Religious Freedom Coalition. Eckley then told me that he wouldn’t let us on the premises if we showed up. This is the second time in two weeks that a major hotel has cancelled a conference dealing with Sharia law and radical Islam. The other hotel was the Hyatt Place in Sugarland, Texas. A local Tea Party had arranged for one of our speakers, Pamela Geller, to come to their town near Houston. Also, a third hotel in Maryland notified a conservative group that it was receiving threats because of their planned discussion topics, but as of today it has not cancelled. When he called, I asked Steve Eckley if he had even reviewed the conference and he admitted he had not, only that he had received threats. I then informed him that three large legal defense organizations were sponsors, that one of the speakers, Mathew Staver, had argued numerous cases before the Supreme Court and that we would take legal action. I immediately wrote and distributed a news release via Christian News Wire, and the story was front page news in Nashville and appeared in newspapers from the Los Angeles Times to USA Today. A Google search of the words “Nashville Sharia” brings up hundreds of links. Mathew Staver, the dean of Liberty University School of Law, was one of our scheduled speakers. 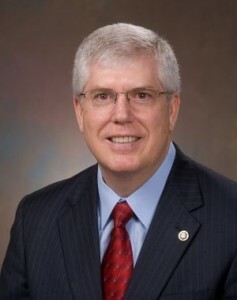 He is also the founder and president of Liberty Counsel, a legal defense organization that protects the rights of Christians who are under attack by such groups as the ACLU. He was outraged by the statements and responded in a Demand Letter to Amerimar Enterprises. Even in the face of a legal battle with a nationally renowned attorney, Amerimar Enterprises decided to stay on the side of the Islamists. Why? My research soon discovered that Amerimar owns the five-star St. Ermin’s Hotel in London, UK. London is, of course, the Islamic capital of the Western World. There are more than 70 “no go” zones in which Sharia law is practiced and police fear to go. St Ermin’s Hotel has been used by several pro-sharia groups as a meeting place and it is frequented by wealthy Muslims from oil rich nations. Do I need to say more? St. Ermin’s is the largest and most profitable property Amerimar owns and they feared a Muslim boycott of that property. Steve Eckley was just too cowardly to admit the truth. He fears the power of Islamic wealth more than he loves the freedom our Constitution guarantees, freedoms that have allowed him to become a very wealthy man. CORNERSTONE CHURCH OFFERS THEIR FACILITY – We will not be silenced! The refusal of the Hutton Hotel’s parent company to honor the contract they signed came just 16 days before the conference was planned. The Preserving Freedom Conference was set for Veteran’s Day, November 11, 2011. As this is a national holiday and so close to the Country Music Awards in Nashville, no other locations large enough were available. Space was needed for 300 to 400 people and we could not change the date this late. More than 80 people had registered for the conference from outside Tennessee and many of those had already purchased airline tickets. Attendees had registered from California and upstate New York. Several were from Virginia and Florida. One researcher on Islamist activities was coming from Florence, Italy! In addition more than thirty speakers had already obtained transportation. Dr. Mark Durie was flying in from Australia and Barrister Paul Diamond from the United Kingdom. Several sponsors including myself and Frank Gaffney, President of the Center for Security Policy, were flying in from Washington, DC. In addition we would have to refund all the registration funds and have no conference! Pastor Maury Davis of the Cornerstone Church in Madison, Tennessee heard of the plight of our Constitution or Sharia conference and offered his facility. But, several of the speakers and sponsors were against moving to a church. Among those was noted author Pamela Geller who believed that being forced by the Islamists from a commercial location to a church was tantamount to “ghettoizing” those who stand against the Islamists. She and others argued that if we were successfully run out of the public square it would be easier to silence us altogether. While I found the arguments against moving to a church compelling, cancelling the conference altogether would shut down a major educational and media event. The conference being held at the church would be covered by all major news agencies. Already the Hutton Hotel’s refusal to allow the conference has generated hundreds of news stories not only in the United States but in European and Asian newspapers. During the initial week of the cancellation by the Hutton Hotel I appeared on more than a dozen radio shows and was interviewed by several news agencies. The cancellation in itself was proof that Sharia was being practiced in America. From a media and educational standpoint it was required that the conference be held as planned. The issue of paid registrations still remains. Attendees had paid us in advance $75 for the conference and another $50 for the banquet. Most of those funds were needed for the expense of the hotel and airfares for speakers. We could not have a banquet at the church. Also, bookings dropped as soon as newspapers announced the cancellation. I had to jumpstart the registrations. After some prayer I made the decision to refund all registration and banquet fees and charge a flat $20 per person for an all day event at Cornerstone Church. I strongly feel that given the grace of God for our cause that hundreds more people will come to the conference and that all expenses of the speakers will be covered. All tickets were sold on the Internet at a special conference site operated by Ettend. I was able to refund all the funds of those who registered through the same company and set up a new registration page for just $20.00 each! In the first two hours 50 new registrations came in. Praise God! We will hold this conference! The first tenet of Sharia is that no one — no Muslim, no Jew, or Christian may be critical of any aspect of Islam including Sharia, and this rule is to be enforced by violence. Last month a conservative blogger in Canada was pulled from his car, tied to a tree and beaten for being critical of Islam. In Missouri a moderate Muslim was pulled from his car and the Star of David carved on his back for being critical of the persecution of Jews. In Europe the authorities are so fearful of Islamic violence that they arrest Christians who are critical of Islam. In the UK on 9-11 this year, Muslims were allowed to celebrate and burn American flags in front of our embassy in London, while cheering the Jihad attack against us. When pro-American demonstrators showed up, the police forced them out of the area. We spent seven long years listening to President George W. Bush tell us that Islam was a “religion of peace” while our young men and women died at the hands of Islamists in Iraq and Afghanistan and while the Christian population was being eradicated in Iraq. We will be silent no more … Islam is not a “religion of peace;” it is a violent political system. Join us in Nashville on November 11th if you can. The order was confirmed by Deputy U.S. Attorney General James Cole. All training materials used for the law enforcement and national security communities are being recalled to eliminate all references to Islam. Because most state and local law enforcement agencies accept federal funds, they will not be allowed to use any reference to Islam while training. This means that words like “mosque” and “jihad” can’t be used. When referring to past terror attacks such as the Fort Hood massacre, no reference to Islam can be used and no mention can be made that the attackers on 9-11 were Muslims. THE ARAB SPRING HAS SPRUNG – President Obama had nothing but praise for the first “revolt” against a secular government in the so-called Arab Spring. That first revolt was in Tunisia and the election results are in. An Islamist party has won over 40% of the vote in a new parliamentary system. Before the “Arab Spring,” the Ennahda party was banned for decades and its leaders forced to flee abroad; now it will lead Tunisia’s new government after an election victory likely to be a model for other Middle Eastern states rocked by uprisings this year. Tunisia was referred to as a “model” secular nation in the Arab world before the revolt. 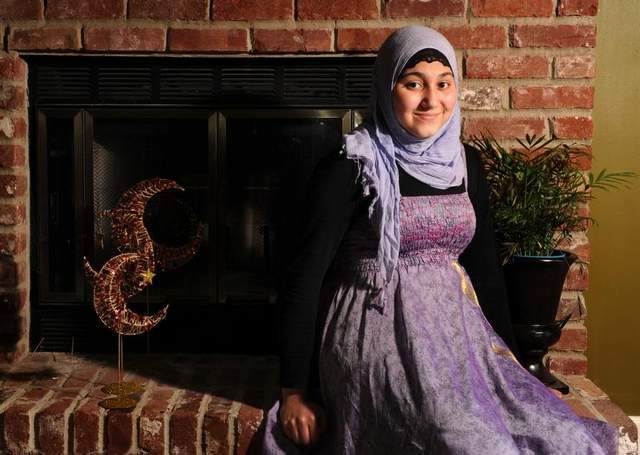 CAIR DEMANDS MILITARY CHANGE UNIFORMS –The Council on American Islamic Relations sent a letter last week to the superintendent of Williamson County Schools demanding a formal apology be issued to a Muslim girl and that she be allowed to participate in the Junior Reserve Officers Training Program (JROTC) program wearing her hijab. She was banned from the program because she demanded to be the only student in uniform wearing a hijab. For CAIR and the rest of the Muslim Brotherhood, this is not about the JROTC or the girl, Demin Zawity. It is the first attempt to change the uniforms of the United States military to conform to Sharia law. Look at the photo: Was this girl serious about becoming an officer in the United States Army? U.S. MUSLIMS DEMAND CATHOLIC SCHOOL REMOVE CRUCIFIX – Encouraged by President Barack Obama and the left leaning media, Muslims are demanding Sharia law be enforced even in Christian schools. Muslims are now insisting that a Catholic University remove crucifixes from the walls of classrooms so they are not offended. A left-wing nutty professor at Catholic University of America filed the complaint on behalf of Muslim students, with the Washington D.C. Office of Human Rights. Incredibly the Human Rights Office is now actively investigating. Apparently the government of Washington, DC finds some merit in a complaint that a Catholic school is somehow violating “human rights” by displaying Catholic symbols. Just because officials are democratically elected does not mean a nation’s people are free. Where freedom of expression and assembly are restricted there is no real freedom. I have also noticed how more hotels, including new hotels (like the new Holiday Inn I stayed at in Daytona, FL), are beginning to stop putting the well-respected Gideon Holy Bibles in their rooms lately? I complained to management at this particular hotel where I stayed last Spring or so, and hope that they have allowed the Gideon Bibles to be placed in their motel rooms. My question is if this could at all be a reaction to “complaints” from pro-Sharia complaintants? Ron Paul has been speaking about the danger to the Christians that are being murdered and forced underground. He has made the point clear and it shows the many costs of all these pointless wars that won’t be won by any of us. Christians women have been kidnapped and forced into Muslim marriages since the 8th century in the Middle East. Christians have been enslaved and their property stolen by Muslims for more than 1,000 years before the United States came into existence. The problem is not the United States, the problem is Islam.